Germany's financial support for Ukraine raises serious questions, according to German politician Andrej Hunko. In the context of its Eastern Partnership, Germany invests more of its money into Ukraine than into any other country, and Hunko believes that the practice of unfair distribution of funds must be stopped. "The practice of selective distribution of funds in the framework of the Eastern Partnership must be stopped. 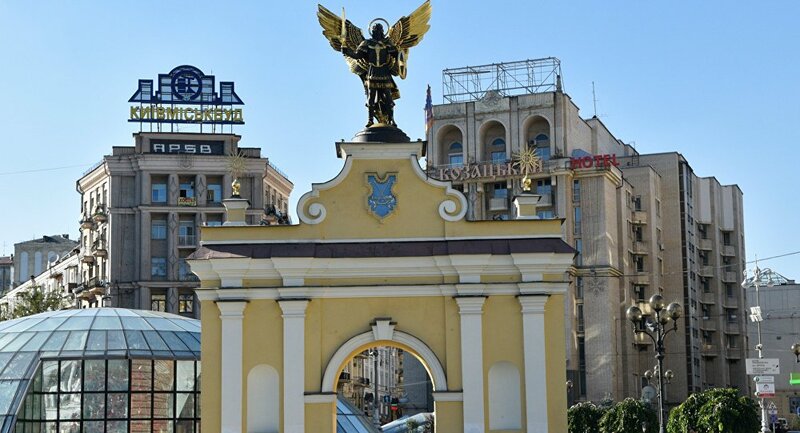 About a half of all funds are allocated for projects in Ukraine, although the program involves all in all six countries," a member of Germany's Left Party, Andrej Hunko, said in an interview with Sputnik Germany. Earlier, Hunko and his colleague Andre Hahn sent a request to the federal government regarding its financial support for civil societies in Eastern Europe. It was found that government projects targeted primarily Ukraine, with other recipient states being put on the back burner. According to Hunko, the strategy has political motive. "In my opinion, we are talking about targeted assistance to Ukraine in the context of its confrontation with Russia," he noted. The politician noted a certain contradiction in that Crimea is not included in the programs for Ukraine's support, as Western countries do not recognize the peninsula's reunification with Russia and still consider it a part of Ukraine. "The population of the territories that are not under control of the Ukrainian government are excluded from the support programs, although the German government still considers them a part of Ukraine," the politician said, adding that the situation is wrong. "The implementation of the projects that promote mutual understanding between peoples on a social and intercultural level — regardless of this international legal conflict, which seems to be lasting for a long time — would have made more sense. However, at the moment we are seeing the opposite situation: music bands like Scooter face criminal proceedings only because they performed in Crimea. You can't treat these territories as 'black holes,' which people are forbidden to maintain all contacts with," Hunko said. At the same time, the politician supports the very idea of the Eastern Partnership. "It includes several feasible projects in such areas as ecology, combating emergencies, development of social infrastructure, municipal partnership and urban development. The uneven distribution of funds among the countries is the only thing I am dissatisfied with," the politician said. The Eastern Partnership is an EU project, launched in 2009. It involves Armenia, Azerbaijan, Belarus, Georgia, Moldova and Ukraine and is designed to enhance social and economic integration between the European Union and partner countries.